What we do is provide a digital audio transcription service for businesses including surveyors, solicitors, larger organisations such as the NHS, market research companies and students. Midlands Transcription services provide a high standard audio transcription service, ensuring all your requirements are adhered to. Work is delivered accurately after being proof read at least twice. Audio transcription is charged by the minute and not by the hour. This means you know exactly how much each dictation will cost, regardless of how long it takes to type. Your transcripts will be completed and returned back to you within 2 - 7 working days of receipt, sooner if it can be accommodated for. This will vary depending on the size, quantity and quality of the audio. What we do is to provide an efficient and professional transcription service, supporting the needs of your business in transcribing your digital recordings when you need it. Our Testimonial page speaks for itself. Do any of the below comments apply to you? You only need a typist for a few hours a week. You want to avoid the cost of taking on agency staff. You need a reliable typist who can be flexible. Outsourcing your typing gives you flexibility and will free up your time allowing you to get on with other tasks. You can also send us your general day to day correspondence including letters, emails and copy typing, such as Health & Safety Policies etc. Not everything will be on the above list, but if it isn’t, then please give us a call to discuss your requirements, or fill in the online enquiry form and I am sure we can accommodate this for you. The best method of uploading your audio files is directly through the easy file uploader. Midlands Transcription Services have introduced extra security to the quotation form giving you peace of mind that your files are in safe hands – your sensitive audio files will always remain private, using the same level of SSL security as many large online retailers to keep your personal details and files safe when you send them to us via the website. Your files are encrypted and sent directly to a Secure Server. After this, they can only be accessed directly from a secure administration area for a limited time. Your files will be permanently deleted once finished with. Disks can be posted or sent by courier. Small audio files can be emailed, some clients use this method when they just want a handful of letters or emails typed up. Working for various professionals, the ability to operate in a discreet manner is of crucial importance. Businesses and individuals trust us with their work, therefore issues such as confidentiality are of extreme importance. 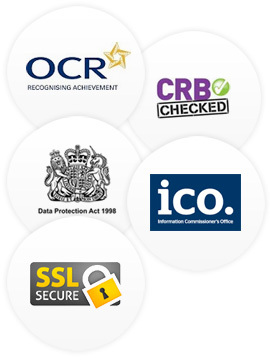 Confidentiality is of extreme importance and all data is protected by the Data Protection Act. We are more than happy to enter into a confidentiality agreement with any new client. All work is done in-house and not outsourced anywhere else. Many transcription services outsource their work to ‘cheap’ backend company providers, often without client awareness or consent. This practice brings great risk to both confidentiality and quality, and therefore outsourcing transcription work in this manner is totally unacceptable to this business. We guarantee that NO work is outsourced overseas. Anyone with typing requirements can use these services. You can contact Lesley any time for a no obligation quote or to discuss your requirements. For more information or to discuss your specific requirements, call us on 01543 428078 or send us an enquiry.